Wirtschaftsuniversität Wien (Vienna University of Economics and Business) was founded on October 1st, 1898 as the Imperial Export Academy. With about 27,000 (23% are international students from 106 nations) students, WU today is EU’s largest educational institution for business and economics, business law, and social sciences. The Institute for Information Business focuses its research and teaching efforts on Business Process Management, Process Mining, Semantic Web, and Decision Support Systems. The institute holds strong ties with the major international research institutions on business process management and semantic web technologies. Prof. Dr. Jan Mendling is a Full Professor with the Institute for Information Business at Wirtschaftsuniversität Wien (WU Vienna), Austria. His research areas include Business Process Management, Conceptual Modelling and Enterprise Systems. He has published more than 230 research papers and articles, among others in ACM Transactions on Software Engineering and Methodology, IEEE Transaction on Software Engineering, Information Systems, Data & Knowledge Engineering, and Decision Support Systems. He is member of the editorial board of three international journals. His Ph.D. thesis has won the Heinz-Zemanek-Award of the Austrian Computer Society and the German Targion-Award for dissertations in the area of strategic information management. He is one of the founders of the Berlin BPM Community of Practice (http://www.bpmb.de) and Board Member of the Austrian BPM Society, organizer of several academic events on process management, and member of the IEEE Task Force on Process Mining. He was program co-chair of the International Conference on Business Process Management 2010. 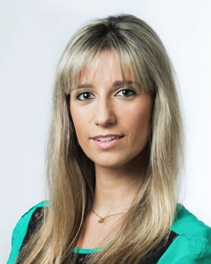 Dr. Cristina Cabanillas is an Assistant Professor with the Institute for Information Business at Wirtschaftsuniversität Wien (WU Vienna), Austria. Her research areas include Business Process Management, Business Process Compliance, Conceptual Modelling and Data Integration. She has publications in the most relevant conferences and journals in the field of BPM. She organised the 1st Workshop on Resource Management in Service-Oriented Computing (RMSOC) in conjunction with ICSOC 2014, and is currently involved in the FFG SHAPE research project on the management of safety-critical engineering projects. 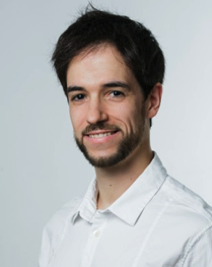 Dr. Claudio Di Ciccio is a post-doctoral researcher with the Institute for Information Business at Wirtschaftsuniversität Wien (WU Vienna), Austria. He works as a Project Staff Member for the EU FP7 GET Service project. 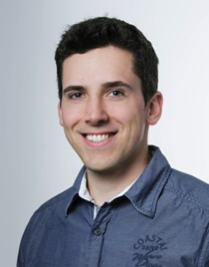 His research interests include Process Mining, Business Process Management, and Service Oriented Computing. Former member of the EU FP7 SM4All project team, he has also worked in the field of Human-Computer Interaction. His research papers and articles have been published, among the others, in ACM Transactions on Management Information Systems, Journal on Data Semantics and Proceedings of Business Process Management. He is member of the IEEE Task Force on Process Mining. 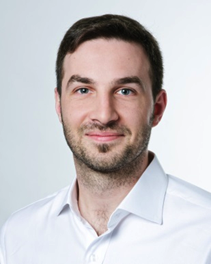 Dr. Andreas Rogge-Solti is a post-doc researcher at the Institute for Information Business at the Vienna University of Economics and Business, Austria. He completed his Ph.D. studies entitled "Probabilistic Estimation of Unobserved Process Events" under the supervision of Prof. Mathias Weske in the Business Process Technology group of the Hasso Plattner Institute of the University of Potsdam. Currently, he is working on the European FP7 project SERAMIS. His main research topics are probabilistic models, process intelligence, optimization problems, and Petri nets.